The Civil War was, and remains, an integral part of American history. At the time of the conflict, the primary means for documenting and sharing information about the war was through illustrated journals. Created in 1857, one such journal, Harper’s Weekly, became the most read publications during the war. 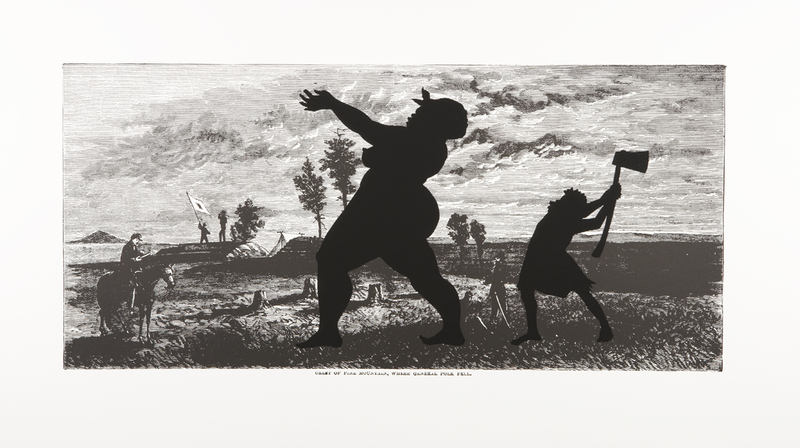 In a series of 15 prints, Kara Walker reimagines and reappropriates several sketches taken from Ed. Alfred H. Guernsey and Henry M. Alden’s Harper’s Pictorial History of the Civil War, a collection of maps, portraits and scenes from the journal published in 1866 to commemorate the war. Using an image taken from a series of three sketches documenting the progress of General Sherman’s campaign in Georgia, this print depicts the battle site of Pine Mountain, where General Polk was defeated and killed. In addition to this reprinting, Walker incorporates two large silhouettes, drawing on both the longer tradition of 18th and 19th century portraiture and her own signature use of solid, black silkscreens. Walker uses these intricately designed silhouettes to suggest an alternative, or missing, perspective to an otherwise accepted history. Obscuring more than they reveal, the silhouettes render the identities of the two figures mostly ambiguous. From this outline, Walker highlights specific features, such as the protruding lips of both figures, strategically revealing certain pieces of information about their identities, in this case, their race. 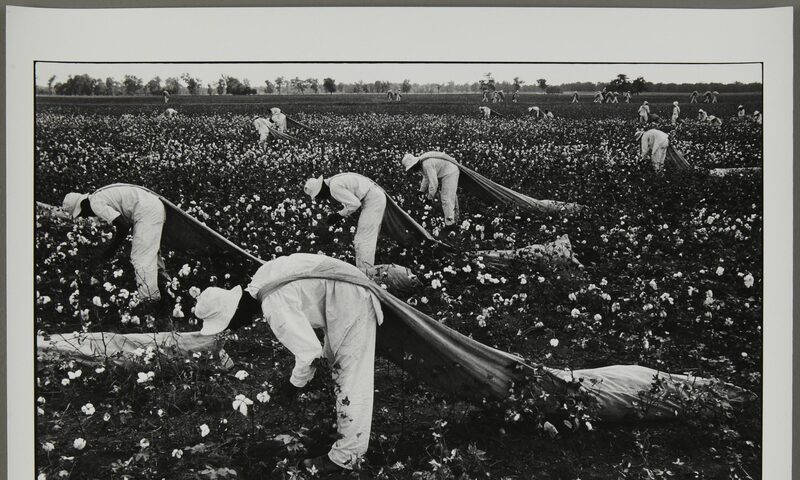 Here, Walker acknowledges, and asks the viewer to recognize, our collective literacy of racial stereotypes. In this way, the silhouettes both reflect on our memory of the Civil War and the legacy of America’s racial history while drawing a connection to contemporary America.